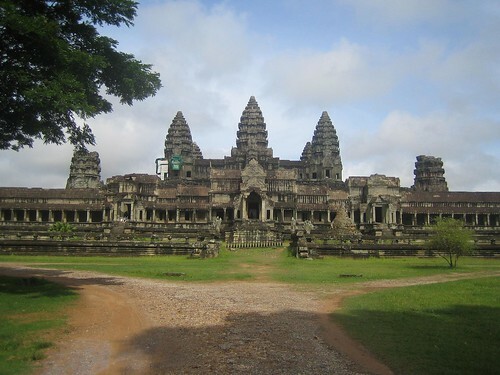 The temples of Angkor are Cambodia’s most famous tourist attraction, a huge temple complex built for the king Suryavarman II in the early 12th century. 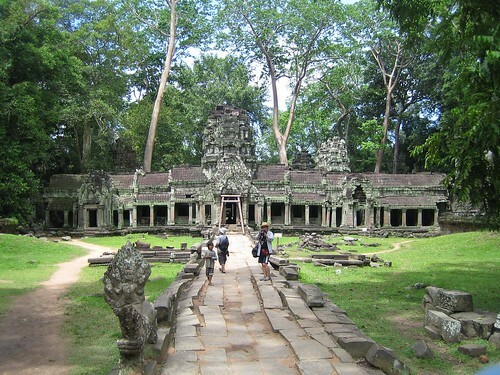 The ruins of Angkor are located among forests and fields and number around 1000, ranging from piles of ruble to the world’s largest single religious monument, Angkor Wat. 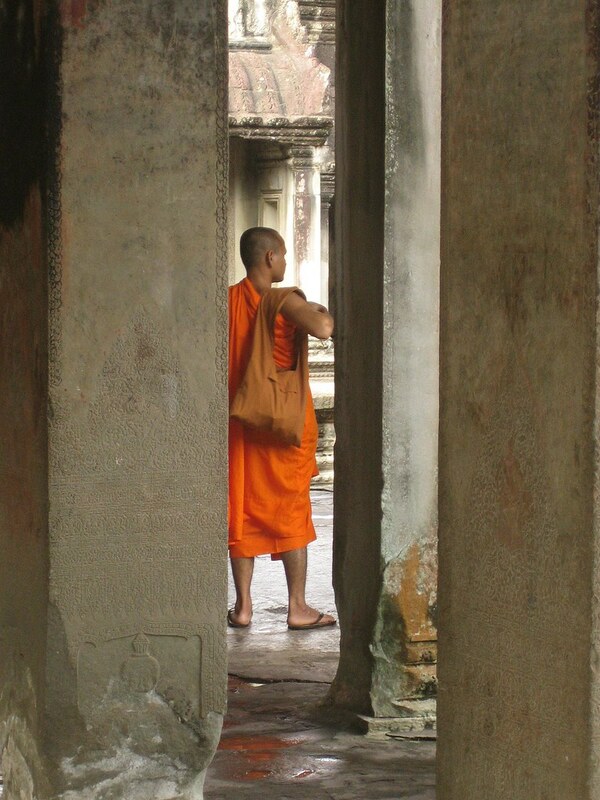 There’s a number of ways to visit the temples but we opted for hiring a tut-tut driver to take us there and between the temples, the vastness of Angkor means you could spend days exploring the temples (if you have the stamina and interest). As time was short we opted for a day. 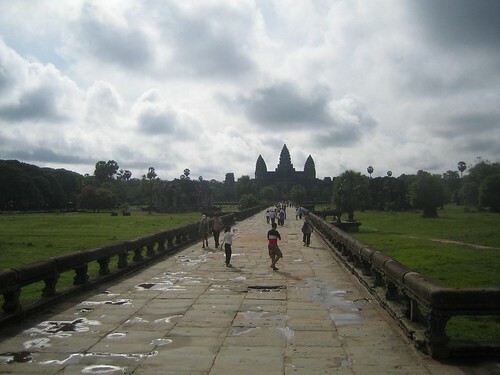 Angkor Wat is the symbol of Cambodia, appearing on its national flag, and it is the country’s prime attraction for visitors. 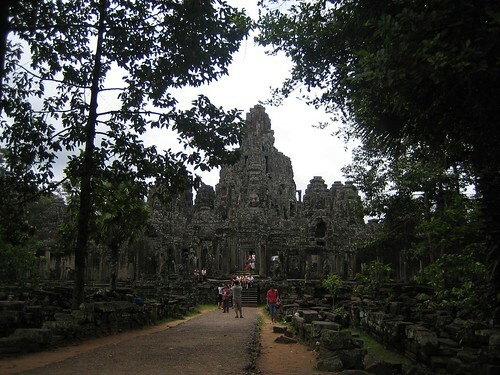 The temple combines two basic plans of Khmer temple architecture: the temple mountain and the later galleried temple. 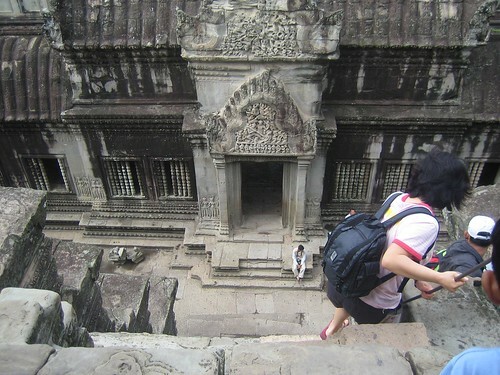 Angkor Wat was the first point of call on our tour, the temple is huge and you could probably spend a day exploring it alone, there’s lots of steep steps and nothing much to hold on to so be careful, head out the back of the temple for a great view of the temple without the streams of tourists on the main entrance. 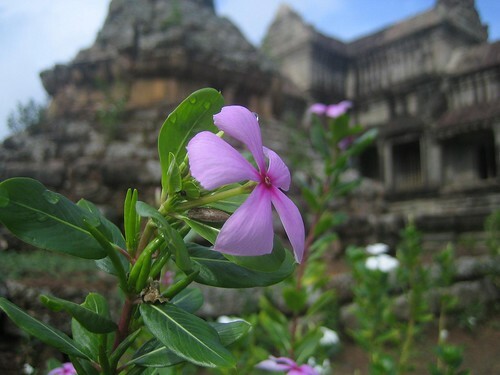 Covering 9km sq, Anchor Thom meaning “Great City” was the last capital of Khmer Empire. 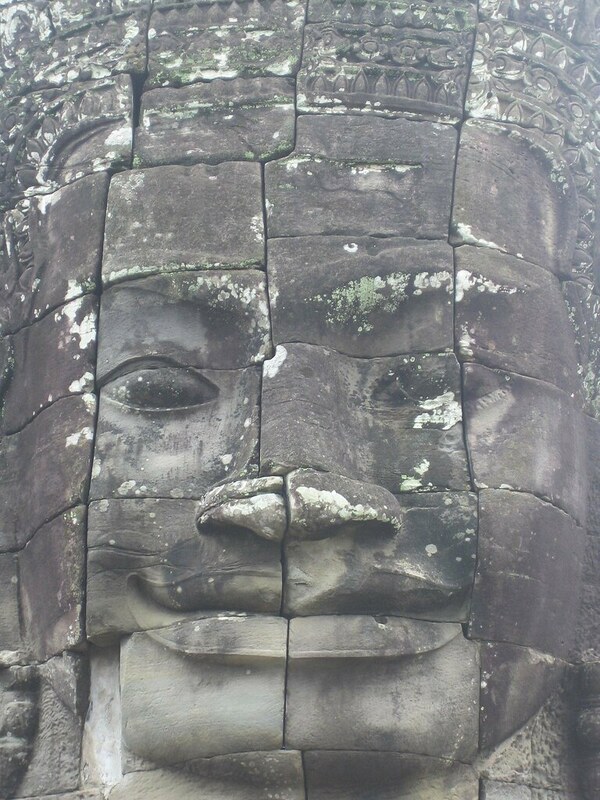 The main temple of this area is the Bayon, a plethora of gigantic carved faces that appear to be in a constant state of bliss. 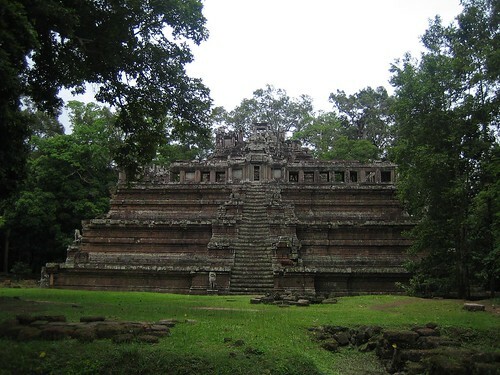 Just behind this temple is Baphuon, a three tiered temple mountain, currently undergoing reconstruction, you can scramble up the 34 meter temple if your feeling brave. 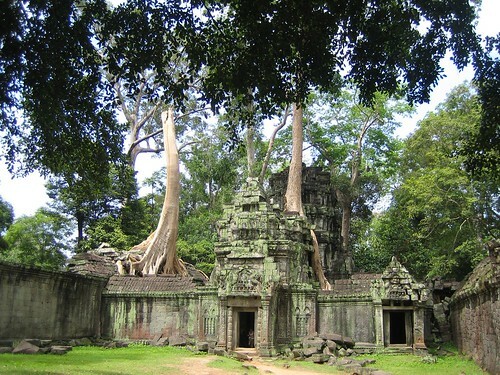 Although the most famous, Angkor Wat is trumpt by the Ta Phrom, unlike the other temple ruins, Ta Phrom has been left much in the way it was found, surrounded by jungle with trees growing out of the ruins, its incredibly atmospheric and you can almost imagine what it must have felt like for explorers to firr=st uncover the ruins. 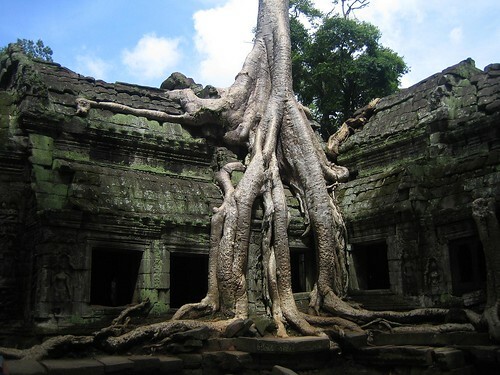 It is easy to see why Ta Phromis one of the most popular temples with tourists. 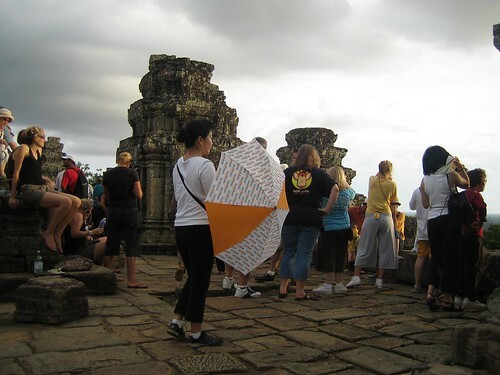 From TaPhrom we visited some relatively small and nondescript temples of Neak Pean and Prean Khan before climbing the Bakheng hill to watch the sunset behind Anchor Wat. 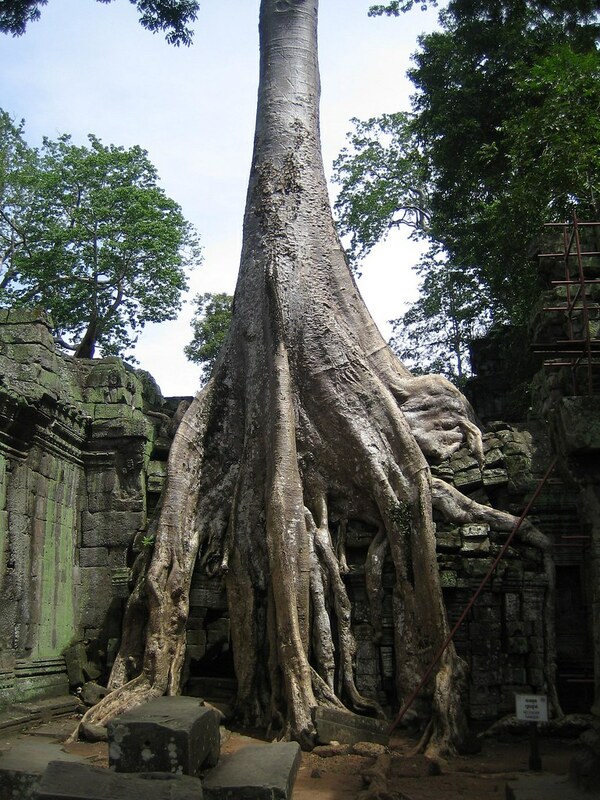 Wow, is that really a tree? they look like giants from the L.O.R. movie. are they true? 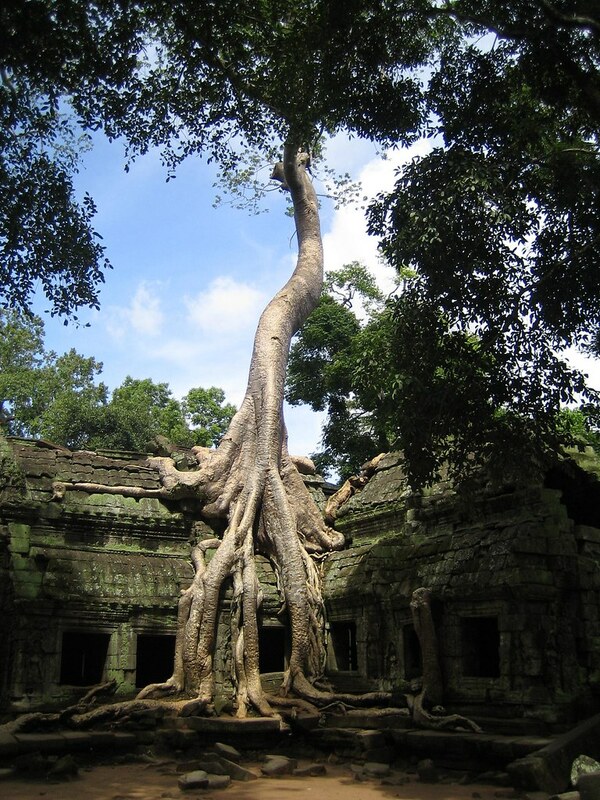 Agree with you Toowoomba Australia, it’s an awesome treesome on the temple. 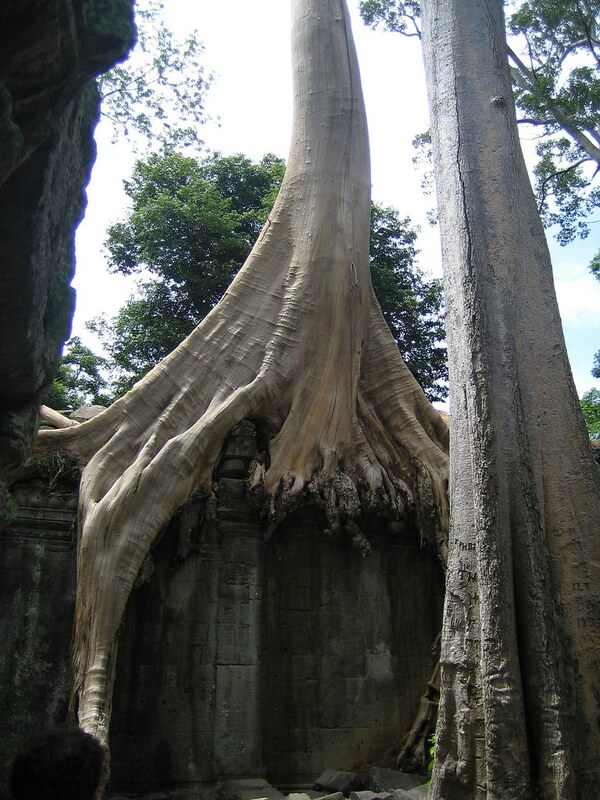 It seems like an oldage giant beautiful temple made of tree roots only. Wow! You have some amazing Pictures!